If you have a large, inflatable bed or pool float but don't have an air compressor or leaf blower, you know you have a problem. Neither a foot pump nor your lungs are the answer. Fortunately, you can rig certain vacuum cleaner models to do the job. 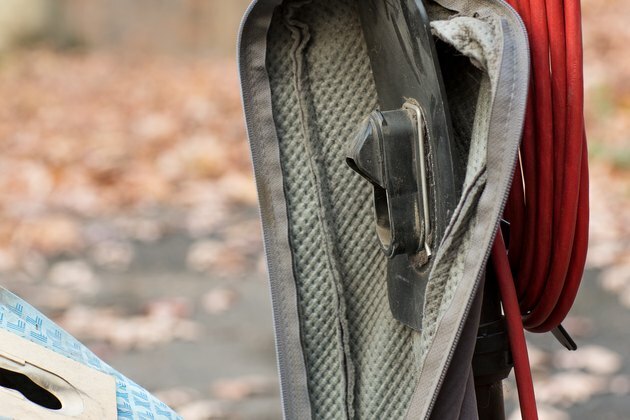 If you have an upright, locate where the bag attaches to the vacuum inside the vacuum bag compartment. Some upright vacuums have a plastic fitting where the bag attaches. Other models have a switch that will reverse the airflow. 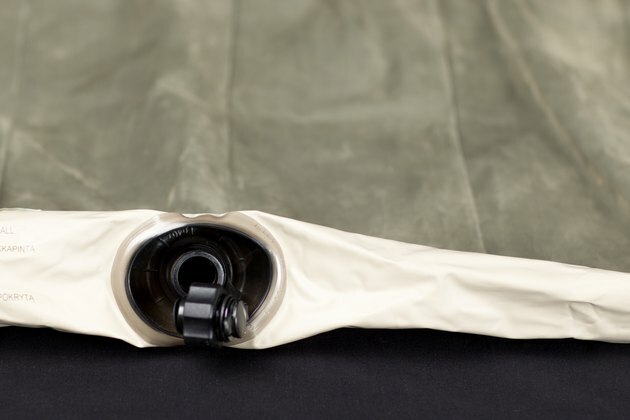 Remove the vacuum bag and detach the flexible hose from the vacuum if the model has a hose. 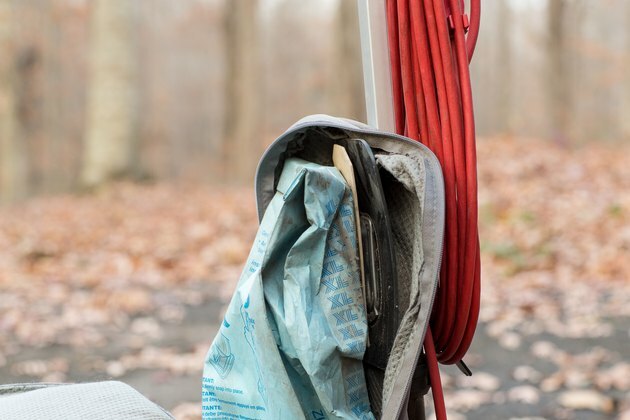 Take the vacuum into a garage or out to the driveway or patio. Plug in the vacuum, point it away from you and turn it on to blow dust, hair and dirt out of the vacuum. Let the vacuum run for a minute or two to clean it completely. 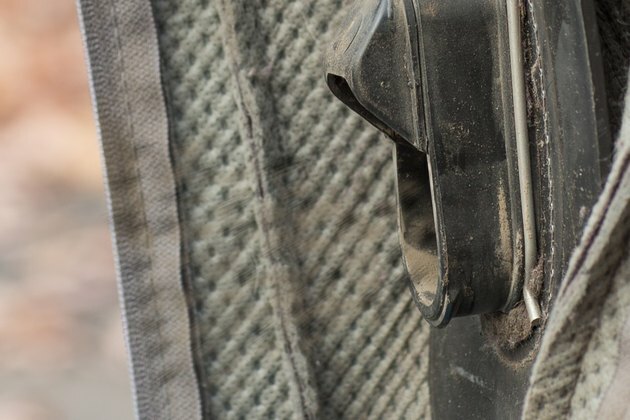 Cut pieces of duct tape to secure the hose to the opening where you detached the vacuum cleaner bag from the vacuum cleaner. Seal it as tightly as possible to avoid any air leakage. 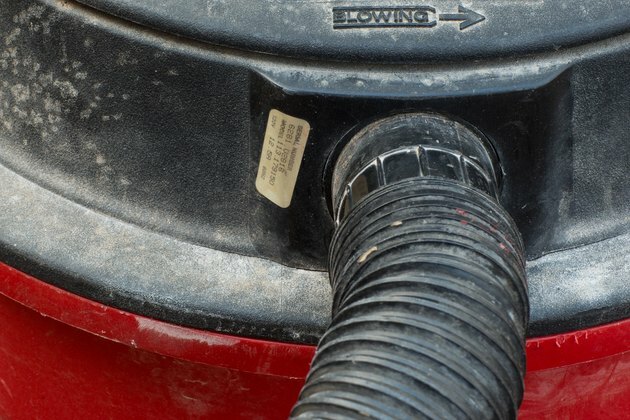 If your vacuum is a wet dry vac, you should be able to attach the hose directly to the vacuum's exhaust fitting with duct tape, sealing it tightly. 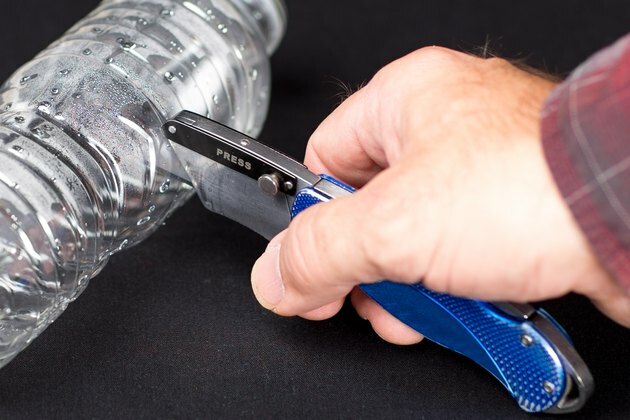 Use the utility knife to cut the bottom off the plastic water bottle. Remove the plastic cap. Securely attach the bottom end of the water bottle to the end of the vacuum hose with duct tape. Seal as tightly as possible. 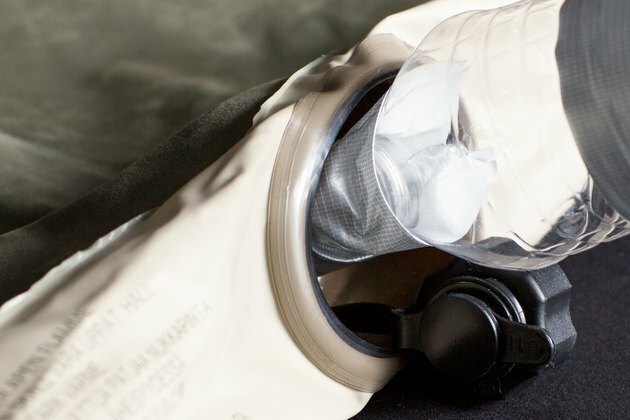 The plastic bottle neck becomes an adapter that fits into many raft nozzles. Cut additional pieces of duct tape, as needed, to use in securing the bottle top to the item you want to inflate. This seal should be as airtight as possible but also easy to remove.